These Elegance White Wine Glasses have been designed by Galway Crystal. They are attractive wine glasses that combine contemporary style with traditional design. 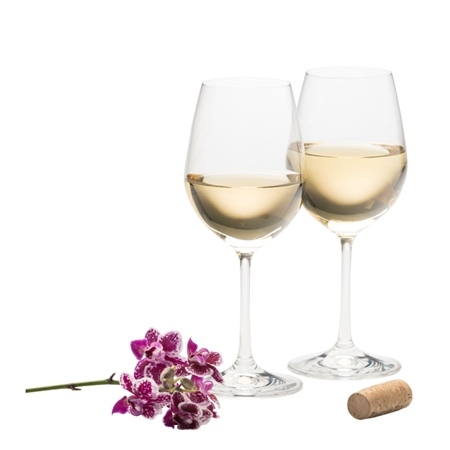 The stemmed glassese are ideal for pinot grigio, sancerre, sauvignon blanc, chenin blanc, riesling and other refreshing, aromatic white and rose wines. They also come in a Galway Crystal Gift Box making them an ideal gift.